I tell you guys I am happy, happy, happy right now! I just got back from seeing The Peanuts Movie and I LOVED it! I went into Peanuts a little skeptical. I love the comics and the shorts that have come out over the years especially Great Pumpkin and Charlie Brown Christmas Special. 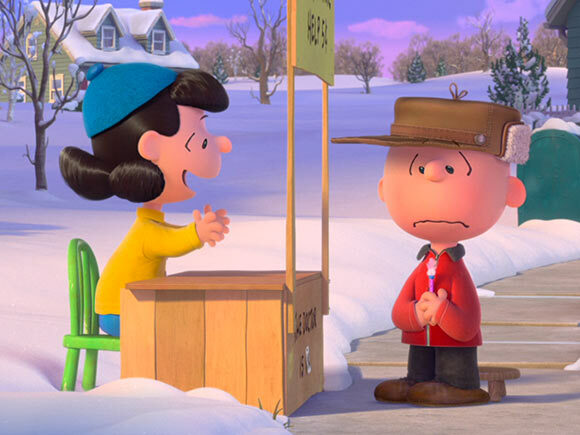 The thing I love most is the character of Charlie Brown and how he is thoughtful and even depressed at times. There’s something about that which makes him very relatable and easy to root for. I guess he is the classic underdog who we all like and a lot of the times he speaks the truth whether it is about materialism at Christmas or the difficulty making friends. I was worried this quality of Peanuts would get lost. I was particularly worried when Blue Sky was the studio involved and when they decided to go the CG route instead of the hand drawn of the shorts. I also wasn’t a huge fan of the trailer so I was nervous walking into the theater. But I’m telling you they pulled it off. This film is a complete delight. I can’t say enough good things about it. Let’s talk about the animation first. It feels like a hybrid animation like we got in Paperman or Feast. I saw it in 3D and it looked multi-dimensional but also paper thin, so it had both a 2D and CG look to it. Mostly it felt like layers and bold colors to the characters we know and love. It’s so pleasant to look at and the character design down to the squiggly lines of the smiles was perfect while still having it’s own new look. 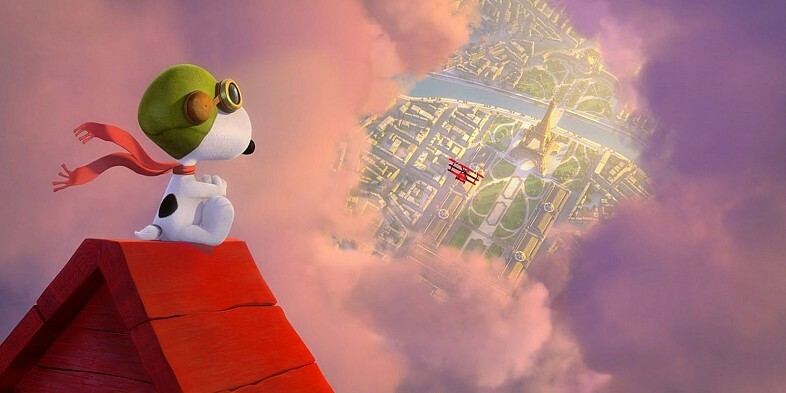 The scenes with Snoopy, Woodstock and the Red Baron looked bright and wistful, like right out of a comic strip or book. They also got the voice work perfectly without any of the celebrity voices that can be distracting in films like Home. These are the voices we know from the original shorts. The story is very simple. 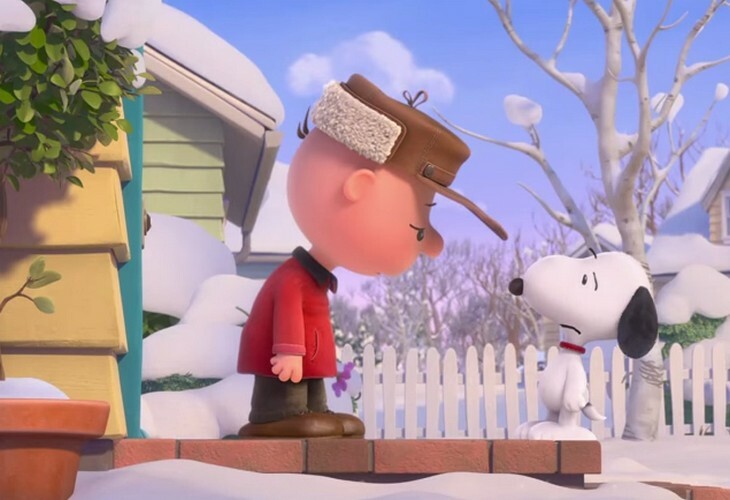 It is basically about how Charlie Brown wants to win the attention of a new red-headed girl but he lacks the confidence he needs to even talk to her. He gets some advice from Lucy and decides he wants to be a winner. On the way he experiences some really sincere and lovely moments of both triumph and success. 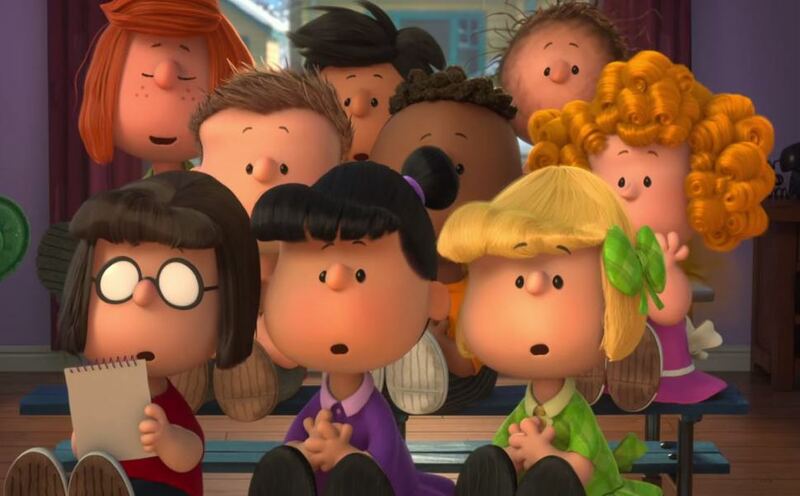 They got the tone just right in this movie and I was always hopeful and filled with joy even as Charlie Brown was struggling. The jokes all worked and the kids in my audience were cracking up (and I was too!). There is absolutely nothing offensive in this film. It is G rated and deserves a G rating. You can take any age of kids and I think they will be entertained even small toddlers I think will like it. I loved the world of the characters. These are no cell phones or laptops. These are kids that have to go to the library to look something up, go skating on snow days and participate in school talent shows for fun. It all felt so innocent and charming. 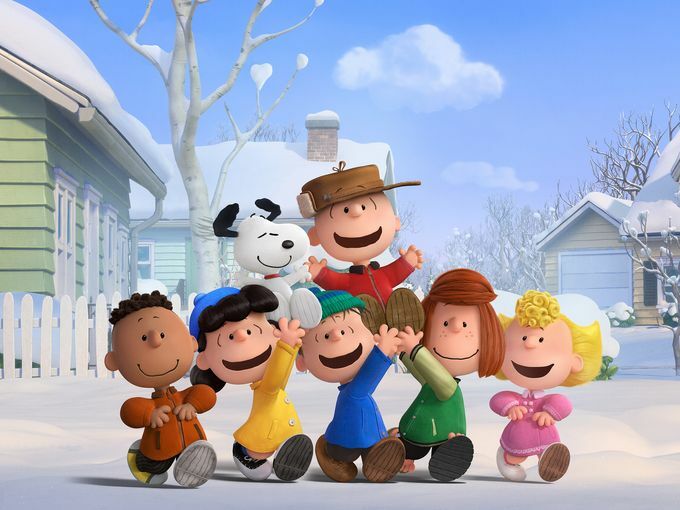 You can tell they had the influence of producers and screenwriters Craig and Bryan Schulz (Charles Schulz’s son and grandson) involved creating a story that will satisfy new viewers and longtime fans. They have a few songs from Flo Rida, Meghan Trainor but you also get the classic Vince Guaraldi numbers from Charlie Brown Christmas Special and the Christophe Beck score uses Guaraldi as an influence. Jazz pianist David Benoit helps add to the authentic feel of the score. Over all, I was completely delighted by this film. I really don’t have anything negative to say. I guess if you are looking for something new and challenging than this isn’t the film for you. We got that in Inside Out, which I still think is the better film, but I really did love this film. They had such a tough task in front of them and congrats Blue Sky! You pulled it off! Overall Grade- A+ Definitely one of best of year. I feel this will be Blue Sky Studio’s magnum opus and don’t know how they will top it. One complaint that I’ve heard many reviewers say about this film is that the filmmakers were so careful about being respectful to the material/characters that the film shows weakness in other parts like plot and whatnot. Like they weren’t able to take any risks and it showed. How do you feel about that statement? I get how some could feel that way. It’s more a movie about characters than a complex story but I found them so pleasant I didn’t mind that. I think it is similar to Paddington. It takes a property people love and yes the story isnt that innovative or different but it has good writing, likable characters and good production values that makes it a winner. Ah yes, I found ‘Paddington’ a surprise joy. It seems fun but I probably won’t go to the cinema and watch it. Great review though. Thanks! It is one you could wait and watch on blu-ray as the experience won’t be changed very much. Great review! I actually saw the Halloween special of Charlie Brown last year at my friend Ashton’s place. Really great, I’ll say! I’ll hopefully get to seeing the Christmas one this year, or shortly before or after. Anyway, I’m planning on seeing this one next Saturday. I’ll let you know if I agree with you on this one or not. Glad to know you gave it an A+. Just curious, I know that I addition to the Ice Age films, you also saw Rio 1 and 2. Just curious, did you also see Horton Hears A Who, Epic, or Robots as well? I did see Horton Hears a Who and it is fine. A little shouty but definitely leaps above the other Seuss films (not saying much because those are some of my least favorite films ever made). I recently saw Epic and liked it quite a bit. I’m not sure why so many hated it. I thought it was beautiful and a predictable but entertaining story. Robots I remember finding very dull and disappointed in Robin Williams not being funnier but I haven’t seen it since it came out in theaters. Cool! Anyway, I was just curious. Yeah, I liked Horton as well, as well Epic and Robots (although I liked the first two films better be the last film that I mentioned as well). Just curious, did Peabuts have a short film that played before it? Also, did hey show a new trailer for Kung Fu Panda 3? In fairness it has been years since I saw Horton or Robots so may have to give them a new watch one of these days. They did play a short with Scrat the squirrel from Ice Age movies. I didn’t love it but it was ok. They did have a Kung Fu Panda 3 trailer and to be honest I haven’t been a big fan of anything I’ve seen from that movie. I’ve been so busy to do a trailer review but I liked 2 how it was a kung fu movie and moved away from the humor. 3 seems to be going back to the humor. I’m really not looking forward to it but hopefully it will surprise me. Yes, I hope Kung Fu Panda 3 surprises you as we’ll, for your sake! It is refreshing to have a good film for once. It is. Although I really did like When Marnie was There and Shaun the Sheep. You should watch those. The 4 that you’ve seen from the year 3 of them are really bad. Inside Out is very good. I’d still say it is a little more original than Peanuts but there has been some good films this year in animation. In fact, what I bet the 5 nominees will be (Inside Out, Good Dinosaur, Peanuts, When Marnie was There, and Shaun the Sheep) will be very strong group of nominees. But a lot of terrible to mediocre films too. I am probably going to watch this one right after I watch Hotel Transylvannia 2 (which I heard is bad). Those will probably be the nominees. I assume you expect this to get an Oscar nomination for Best Animated film. What are your other (possible four) choices? I’m predicting Anomalisa, The Good Dinosaur, Inside Out, The Peanuts Movie, and Shaun the Sheep with Inside Out as the winner. Yes I think this is a lock for a nomination. Anomalisa is the big unknown since I havent seen it but there’s great buzz and the academy loves recognizing animation for adults (as I do as well). The big toss up is whether When Marnie was There or Shaun the Sheep will get nod. I personally would go with Marnie and I think it being the last Ghibli film it will get recognized. I’m super glad it is a 5 nominee year because IMO all these films deserve recognition. But then again I thought the Lego Movie was a lock to be nominated and win last year so you never know with the academy. Pingback: Old People, Depressed Kids, Spies and Other 2015 Movie Trends | Reviewing All 54 Disney Animated Films And More! Just thought you should know that I saw this film last night. Man, I will say my friends and I were very surprised by how great this film. I thought it was really funny, the blending of 2D with 3D animation was great, and I thought the story overall had a lot of depth. I can see why the Lawn Gnome said this should be nominated. I don’t know if I’d say it’s quite as good as Inside Out, but it definitely comes close nonetheless. I hope this, Inside Out, Shaun The Sheep, When Marnie Was There, & Good Dinosaur are all nominated. Anyway, great review once again! Oh, and I thought the Ice Age short film was hysterical. Really? I saw it twice too: once this past this Sunday and again last night. 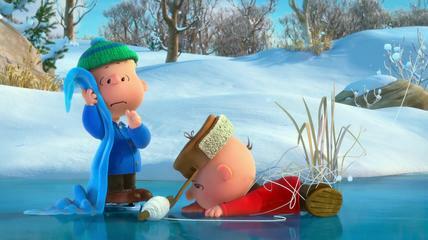 Honestly, I thought both the Ice Age short film and Peanuts were better the second time around. Pingback: Annie Awards Nominations 2015 | Reviewing All 54 Disney Animated Films And More! Pingback: Best Movies of 2015 | Reviewing All 54 Disney Animated Films And More! Pingback: Ranking 2015 Animated Films | Reviewing All 54 Disney Animated Films And More! Pingback: The Mystery of My Movie Taste | Reviewing All 54 Disney Animated Films And More! 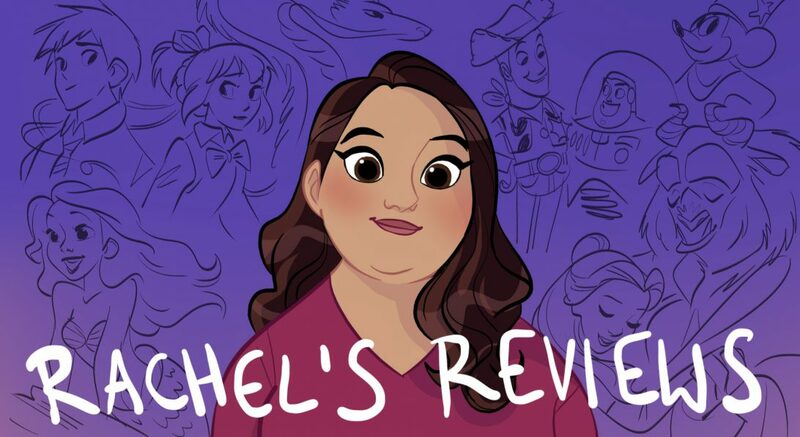 Pingback: Oscar Nomination Reactions | Reviewing All 54 Disney Animated Films And More! Pingback: Boy and the World Review | Reviewing All 54 Disney Animated Films And More! Pingback: The Art of the Peanuts Movie Review | Reviewing All 54 Disney Animated Films And More! Pingback: Pete’s Dragon Review (2016) – Reviewing All 54 Disney Animated Films And More! Pingback: Sing Review – Reviewing All 56 Disney Animated Films And More! Pingback: Dreamworks 6: Captain Underpants: The First Epic Movie – Reviewing All 56 Disney Animated Films And More! Reblogged this on Personal Musings:. I share your sentiments, Rachel. I was initially hesitant to see this movie in theaters but it exceeded my expectations. I also own the art book for the movie.